The respected writer, thinker and groundbreaking blogger, Professor Norman Geras has died in Cambridge. 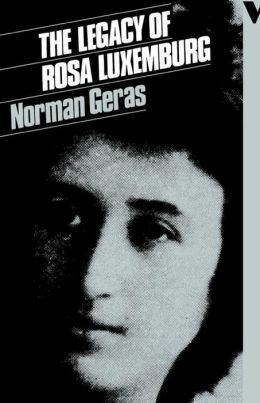 Geras contributed greatly to the study of Rosa Luxemburg in the UK and internationally, most notable with his ‘The Legacy of Rosa Luxemburg’ (UK: New Left Books, 1976), but also since then in numerous articles, reviews and blog posts. See also the archives of his excellent blog, for more: http://normblog.typepad.com/normblog/. This entry was posted in blogposts about normblog and tagged Rory Castle on October 18, 2013 by The Editor. I felt I knew Norman through reading his blog. Always wise and beautifully written.